I know I'm late sowing my Tomato, Pepper and Zinnia seeds, but I'm going to plant them anyways. I know they can catch up. 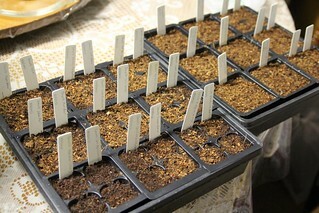 See my blog entry below to see the names of all the seeds I sowed. I didn't realize how many different kinds of Tomatoes seeds I now have.